If your arrival date is more than 4 weeks prior to arrival then the 1st night is payable in advance. Here at Courtbrack Accommodation, we are committed to your comfort and safety, without breaking your budget. Our modern facilities are on Limerick's Dock Road, just a short walk (15mins walk 5 by taxi) from the city centre, and adjacent to Mary Immaculate College. 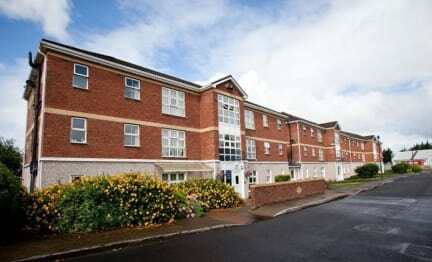 The University of Limerick is 15 minutes away (by car or taxi), and Shannon Airport just 15 miles. Free Wi-Fi and internet room. Our prices also include use of our self-catering kitchen and common room, free car parking, and from June through August, a light continental breakfast. Highly recommend. Single room for 30 euro it's good value for money. Everything clean, and bedroom was good. I slept like a baby. If i will be in Limerick more times i will stop here. Nice building and room. However location is a bit far from the city center (20-30 min walk). And I kept getting kicked off the wifi which was inconvenient. But it was nice and clean, also pretty roomy, and quiet. I really enjoyed my stay. Not an typical hostel more like student accommodation thus there was no real travel atmosphere. But great facilities and privacy! I stayed here twice, two weeks apart. Beautiful setting and wonderful staff but as a facility, it's very noisy. The tiled hallways and bare walls and ceilings act as an echo chamber for the doors, which must be slammed to close. Also, the $7 per load "laundry service" involves dumping all of your clothes in together, including jeans with whites with the expected result, and returning them to you crammed into a plastic bag full of wrinkles. 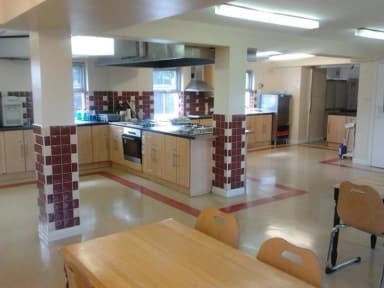 The hostel & kitchen area was clean. Breakfast good. On arrival in the evening, had a cold shower, no hot water. Woke early morning & had a hot shower, bathrooms were not very clean. What definitely put me off staying at Courtbrack accommodation, are the continual banging doors! The establishment should be renamed, Banging Doors Accommodation! The doors do not have door closers behind them, if some doors do, they are not heavy duty closers & don't work! Please attend to banging doors.. I wanted someplace where I could affordably get a private room for my last night in Ireland before flying out, and this was one of Limerick's few options...I wasn't thrilled to learn I had a 20 minute walk from the bus station to get there, and when I arrived it felt a little bit like a ghost town. The room was pretty small and when I set my stuff down and learned that most of the restaurants were back another 20 minute walk to where I'd started I was frustrated. Location just isn't great.